Gotong - Royong with LSEG, 26 January 2019. 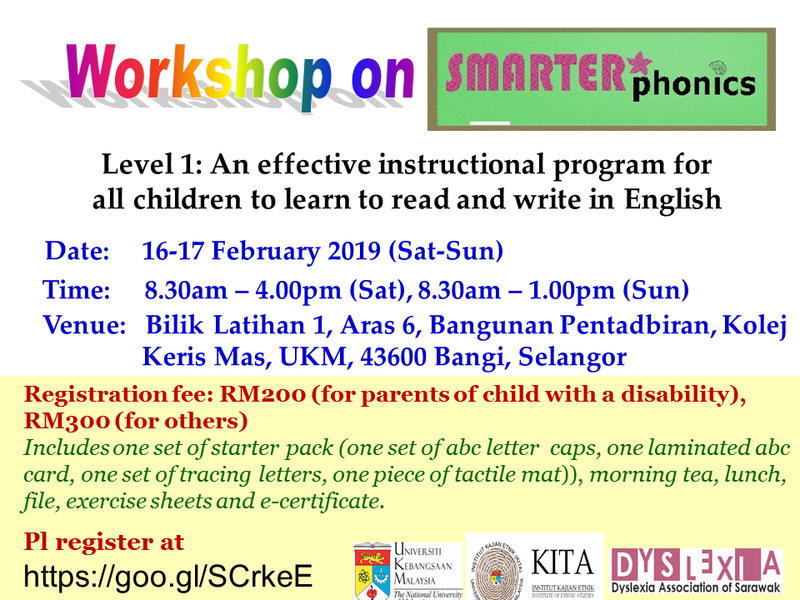 All children with dyslexia and other learning disabilities are welcomed to register for this camp. 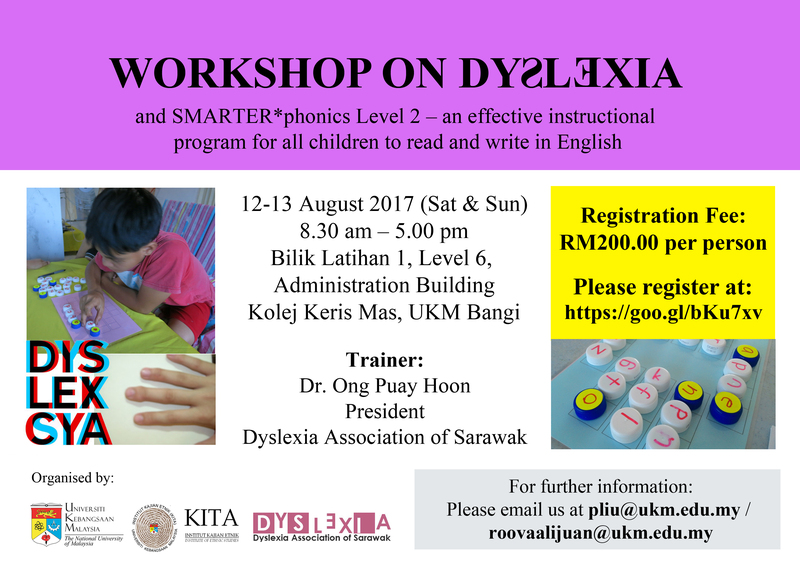 The organization of this camp is a part of the continuous effort of the Dyslexia Association of Sarawak to empower young children with dyslexia and other learning disabilities to manage themselves in the face of difficulties in their academic, physical, social and emotional dimensions. 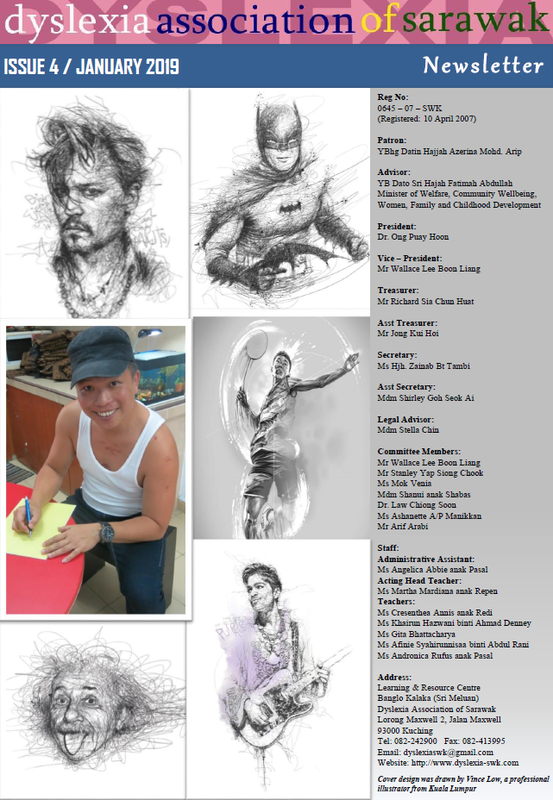 It aims to provide an atmosphere of fun and pleasure for the participant to know themselves and each other better. Refreshments and lunch, brief notes, one set of letter caps, one tactile mat and one laminated ABC card. Payment can be made with cash or bank-in deposit at account RHB 2610 – 489000 – 1600. 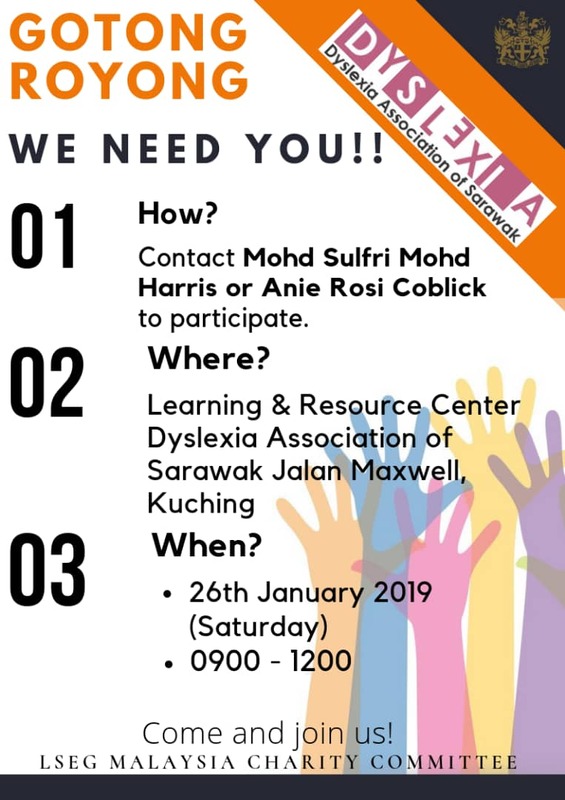 DASwk is organizing a “Big Walk with a Difference – In Support Of Children with Learning Disabilities and Differences” in conjunction with Dyslexia Month to raise funds to build our own Dyslexia Institute in Desa Wira, Batu Kawa, Kuching. Let's WALK and enjoy the Sunday morning! This event is supported by City Jogger's Club (CJC), managed by Cat City Holidays, supported by Event Feet, & designed by Spark Creations.